In operation for three-decades, Tokyo Cement Company (Lanka) PLC is the largest manufacturer and supplier of cement in Sri Lanka. The cement industry is sometimes referred to as a barometer to gauge the country’s economic march to progress and prosperity. During the conflict, the industry faced numerous challenges to make and deliver cement to all corners of the island. Based on the island’s eastern coastline, Tokyo Cement, was equally challenged during the conflict, to ensure minimum disruptions to operations. 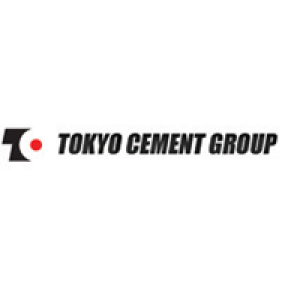 Tokyo Cement is one of Sri Lanka’s most valuable brands with an installed capacity of nearly two million tons of cement, over 600 employees and 14 billion rupees in assets. Our stakeholders range from individual builders to commercial contractors and builders in the public and private sectors who rely on the quality inherent in all our products. We aspire to provide consistent returns to our shareholders and to build on the reputation for excellence we have earned through the commitment and experience of the Tokyo Cement team. The brainchild of three prominent industrialists, the company has laid the foundation for infrastructure and other large-scale projects of national and international significance. A pioneer in cement manufacturing technology, Tokyo Cement lays claim to a number of industry firsts, including the setting–up of the country’s first automated cement factory. As part of its efforts to pursue the Triple Bottom Line principle the company commissioned the first 10 megawatt biomass power plant in Trincomalee. The benefits of the 2 billion rupee initiative are twofold – it frees the company’s operations from reliance on thermal power generation via the national grid and acts as a source of eco friendly electricity. Other pioneering feats include becoming the first local corporate to achieve the ISO 14001 Environment Management Systems certification, and the first cement manufacturer to achieve the ISO 9000 Quality Management Systems certification. We have always worked on an ethos of pragmatic optimism, bringing our stakeholders into our plans and aligning them with the strategies that will take us ahead.